Norash stud welcomes Cinders, the latest addition to Norash. 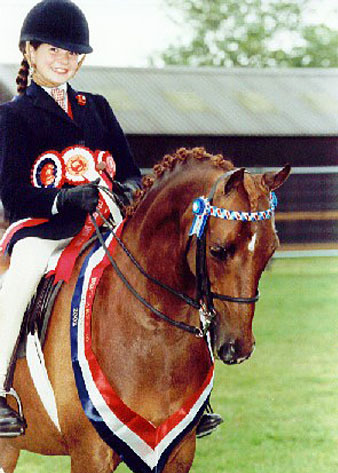 She has qualified for the Royal International and Horse of the Year Show on several occasions under saddle. She is beautifully bred by Beckside Little Toff, and we are really looking forward to the new arrival in 2005. It was a difficult task for Robert and David ,many thanks. Nice to know some experts, well done you two!!! Huge thanks to Cristina and Hannah Murray for selling her to me. We hope her offspring follows in her huge winning ways.